Embattled Kano State Governor, Abdullahi Umar Ganduje on Monday in Kano said he is ready to face the party that won the first lap of the election, People’s Democratic Party (PDP), which vowed to challenge his victory at the just-concluded Kano supplementary poll in court. The governor spoke in Ganduje town of Dawakin Tofa local government when he was receiving thousands of supporters who trooped to congratulate him over his re-election. 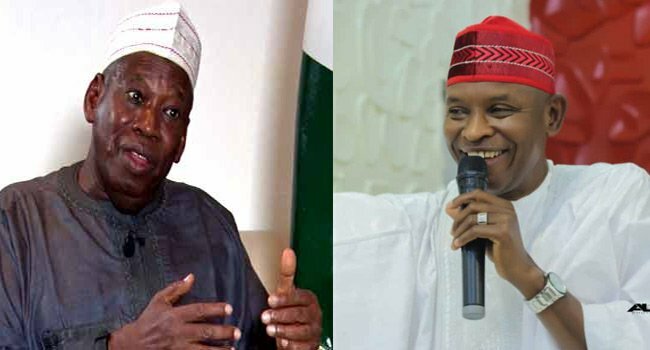 Ganduje said it was after that ballot stuffing scenario that genuine election was conducted at the supplementary election, which he described as fair and credible. “My thinking about these people is they are about to kick-start what would later consume them unawares. 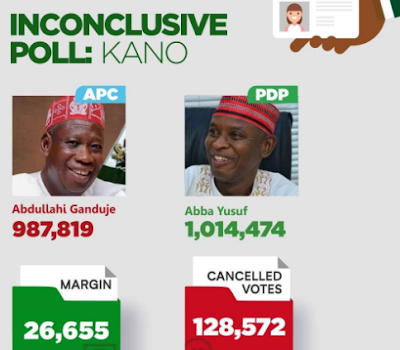 What they did in other elections of the state legislators in some places, will be looked at, with the view to ascertaining authenticity of such votes they claimed to have gotten,” he stated.